Leopards are renowned for their agility. They run up to 58km/h and can leap 6m horizontally and 3m vertically. They are also very strong swimmers. Leopards tend to have two or three cubs per gestation. Mothers refrain from wandering their territories after giving birth until their young are capable to come with them. Cubs suckle for around 3 months and are kept hidden for about the first 8 weeks to protect them from predators. 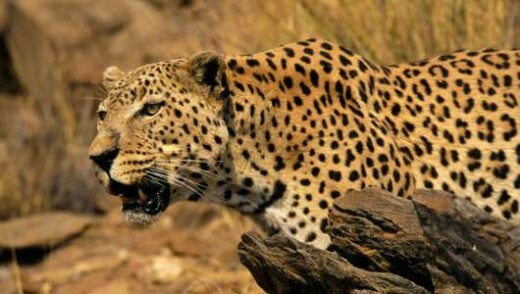 During the National Geographic programme ‘Eye of the Leopard’, a wild leopard killed a baboon in order to feed herself. However upon noticing an infant baboon clinging to the dead baboon, the leopard amazingly carried the infant up to the safety of the tree to guard her from hyenas. She groomed and cuddled the baby throughout the night, caring for him/her as she would her own cub.